My introduction to Italian sausage, peppers, and onions was at the San Gennaro street festival in New York City during a high school field trip. Each stall claimed to have the best sausage, the freshest peppers, and the sweetest onion all piled onto huge barges of bakery bread. I was in food heaven. These days, my mom makes a more sedate version of this famed sandwich as a pasta dish. It is a delicious one pot dinner and is perfect on a night that you don’t want to spend to long making dinner and want something impressive. 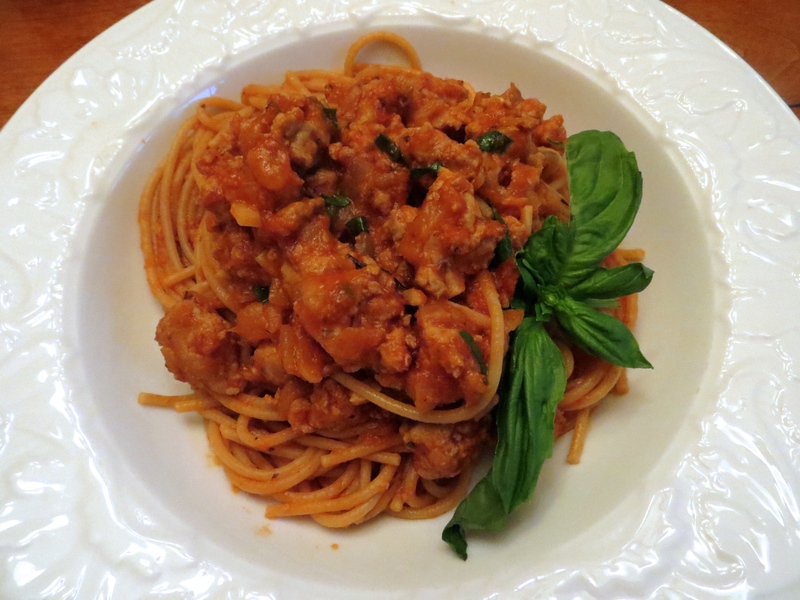 It all starts with good Italian sausage – you can use either hot or sweet Italian sausage. I personally use sweet sausage and then add heat to the sauce, but you can do whatever makes your heart sing! To make meatballs out of the sausage, cut the sausage down the middle, remove the casing, and cut them into 2-3-inch pieces. Then roll each piece into a meatball. Throw the meatballs into a deep-sided skillet with a tiny bit of canola oil. Stir the meatballs around so that they all get brown. When they are browned (CAUTION – they aren’t cooked through! 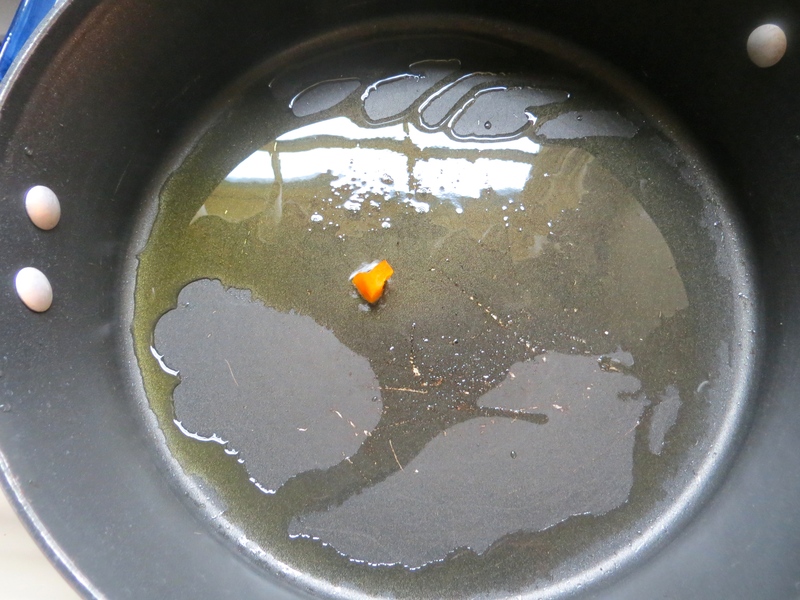 ), pull them out of the skillet and place them to drain on paper towelling. 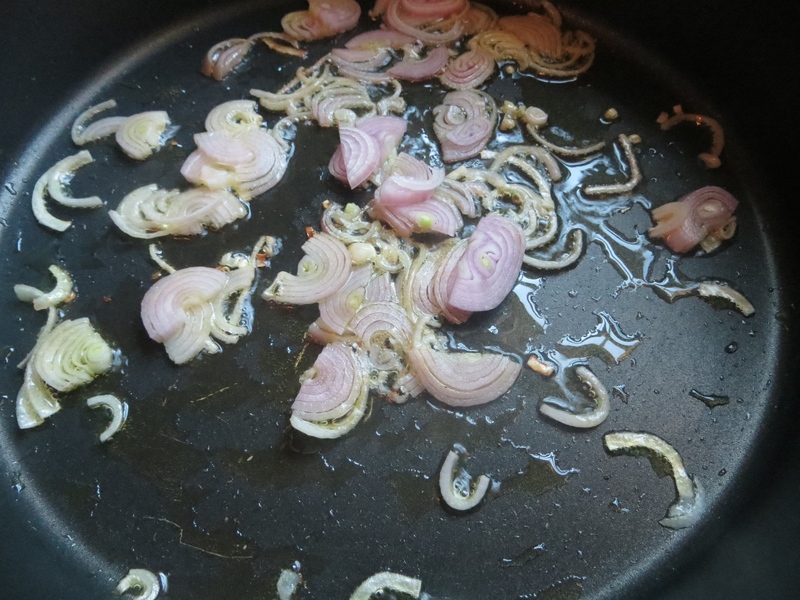 Then drain off the grease and put the skillet back on the heat with a little bit of olive oil. 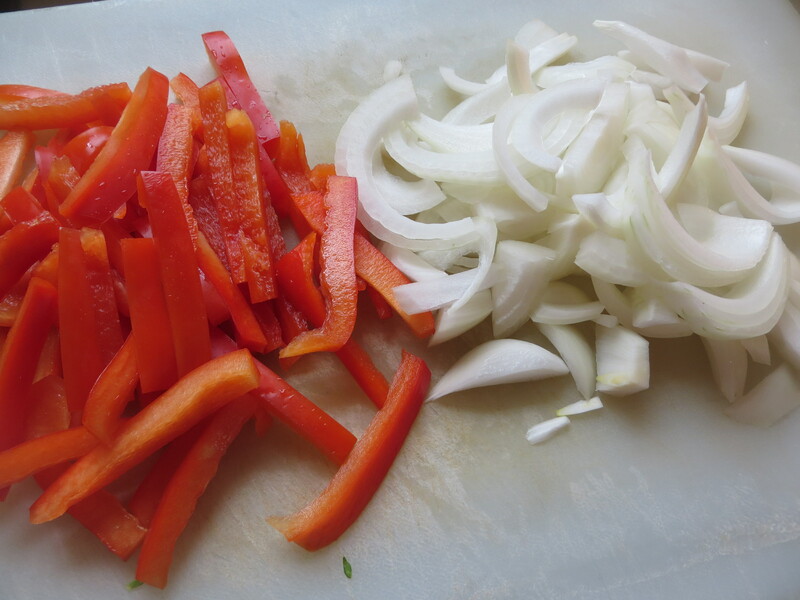 Then slice up some red bell pepper and onion. And throw them into the skillet. Add some salt, pepper, oregano, and hot pepper flake and cook them until they soft and golden. When the veggies are all cooked, the meatballs get placed into the skillet too. And then pour into some wine. Stop and savor the amazing smells coming from your kitchen (and maybe pour yourself a glass of wine while you’re at it?). This simple wine broth is a good sauce for this dish, but I like to crack open a jar of marinara sauce and add it to the skillet. The tomato sauce is reminiscent of the traditional sausage, pepper and onion sandwich. Toss in the pasta (and a little mozzarella cheese if you desire… which I did) and stir… and take a steamy, blurry picture that you have no shame putting on your food blog. Then serve to your family and friends! It is a less messy version of the traditional sandwich, but just as delicious! 1 pound of pasta, cooked to the package directions. Heat a high-sided skillet over medium heat with the canola oil. 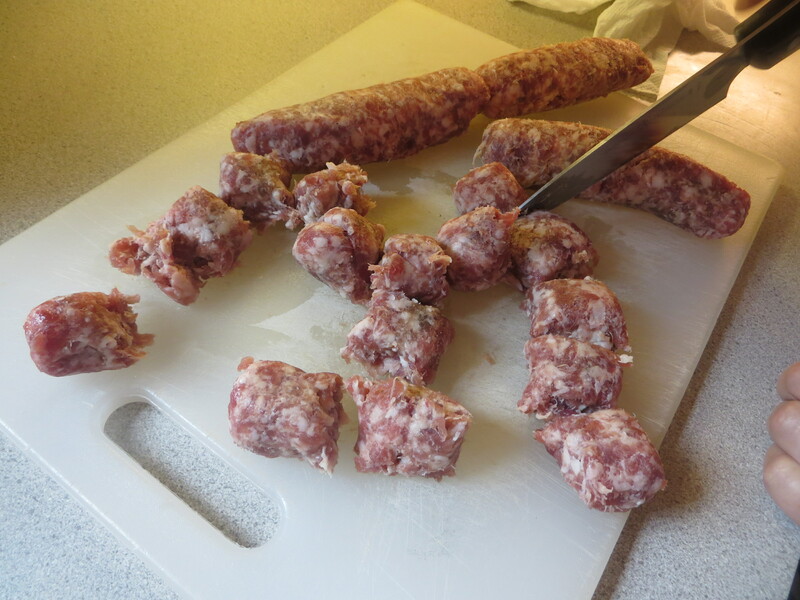 Split the casings of the Italian sausage and remove completely. Cut the sausages into 2-3-inch pieces and roll each piece into a meatball. Brown the meatballs in the skillet, about 2-3 minutes. Remove the browned meatballs to a plate lined with paper towels and drain off the excess grease from the skillet. Return skillet to the heat. Add the olive oil to the skillet, along with the peppers and onion. Cook the vegetables until the begin to soften and turn golden brown. Add the meatballs, garlic, salt, pepper, oregano, red pepper flake, and cook until the garlic is fragrant. Pour in the wine and cook until the wine reduces slightly. Add in the marinara sauce, stir to combine, and reduce the heat to simmer. Place a lid on the skillet and let the sauce and meatballs simmer for 20 minutes to ensure the sausage meatballs are cooked through. Serve the meatballs and sauce over pasta, sprinkled with cheese if your heart desires. The idea for this dish popped into my head when I was driving back from the gym with E. All I wanted to eat at that moment was pasta, so I could replenish my carbohydrate stores in my muscles (and soothe my soul). Yeah, pasta with pesto. I really like pesto. But what goes well with pesto? Tomatoes. And fresh mozzarella cheese! I described my thoughts to my sister, who decided that grilled chicken would be the best accompaniment to this pasta creation (we needed a protein for this meal). She also decided that sautéed tomatoes would be better than the traditional raw ones, for they would be nice and sweet after they were heated through. 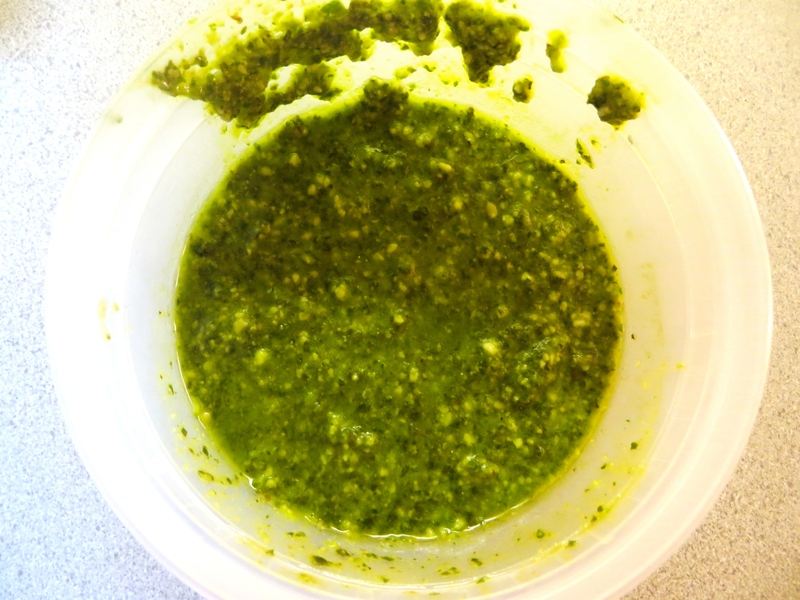 The basil portion is represented by basil pesto. I love this stuff. I put it on pasta, sandwiches, vegetables, potatoes, etc. I’m obsessed. 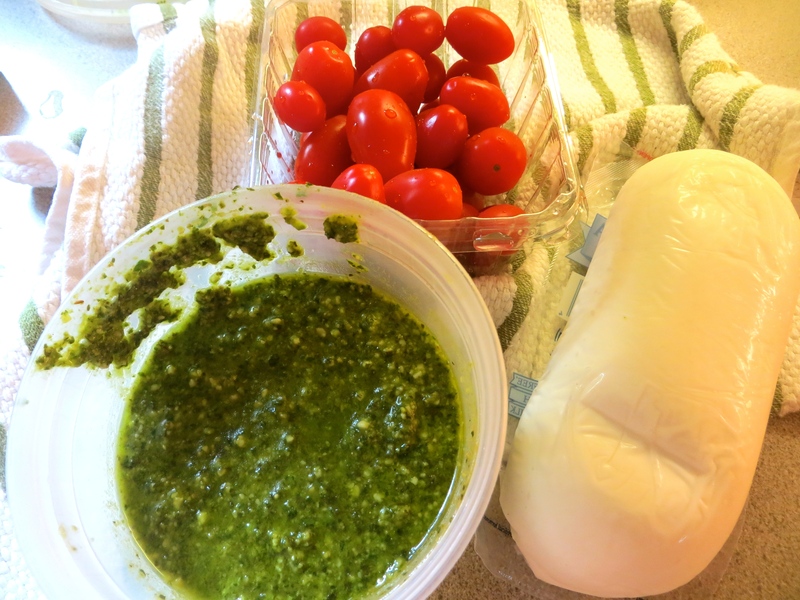 For this recipe, I used my homemade pesto recipe but the jarred stuff is good too (I won’t tell!). Next comes the tomatoes… Caprese sandwiches usually use fresh, raw tomato, but we decided that pasta is best served with impossibly cute grape tomatoes. E placed them in a sauté pan with some olive oil and kosher salt and let them cook until the skins got browned and started to split. Finally, holding true to the real caprese sandwich, we used fresh mozzarella. We had a huge ball of the stuff that E cubed, but I also think some of the little bocconcini (little fresh mozzarella balls) would be good too. E placed that fresh mozzarella on the bottom of the serving bowl and we assembled the pasta. Pasta was dumped on top of the mozzarella, with the tomatoes poured on top. It’s starting to look delicious! Then we added some pesto to the bowl. It’s starting to look like Caprese Pasta! Love the color of the pesto. We served it alongside some awesome Greek Grilled Chicken, which completed this perfect summer meal. 1. Bring a pot of water to a boil, heavily salt it, and cook pasta according to the package directions. Drain thoroughly. 2. In a sauté pan, heat olive oil over medium heat. Add in tomatoes and kosher salt. Cook until tomato skins start to brown and split (about 5-7 minutes). Remove from heat. 3. Cube mozzarella cheese and place into serving bowl. 4. Add hot pasta to the serving bowl holding the mozzarella cheese. Toss in tomatoes and add in the pesto. Toss the pasta. 5. Serve immediately, by itself or on the side of grilled meat or fish.